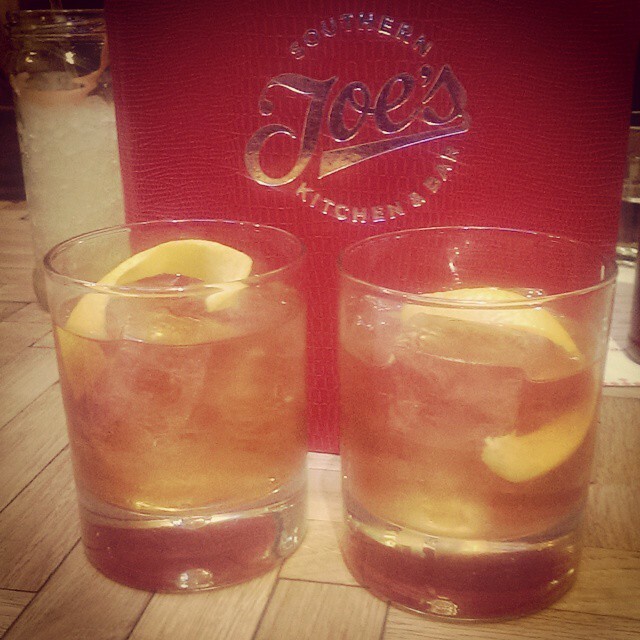 The 2014 trend of the American South goes strong the Joe’s Southern Kitchen opens in Kentish Town, with the cocktail bar JAILBIRD downstairs (with booths in the once-jail-cells!) 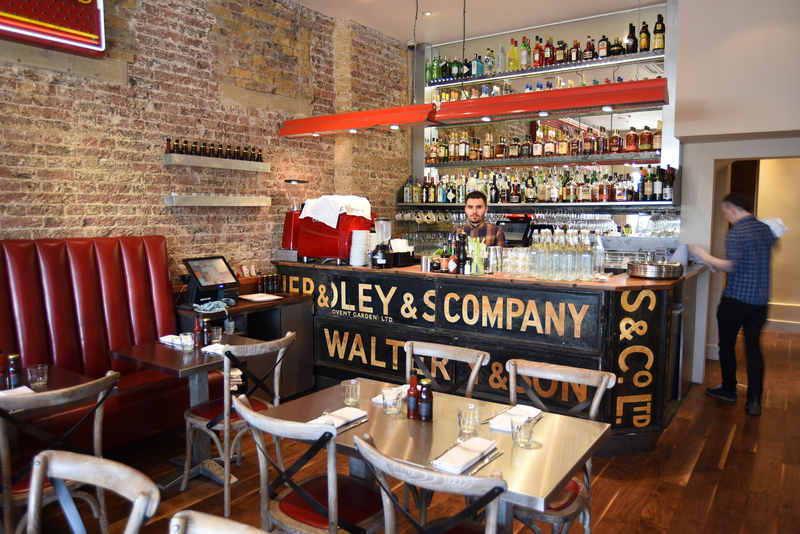 Whereas its Covent Garden cousin goes for a more anju style menu, with more small plates, the Kentish Town branch is more for a proper face-stuffing. Expect clotted cream and Red Leicester in your gooey corn spoon bread, and more Red Leicester with 3 other cheeses in the ooziest of mac n cheeses (one of the more addictive MnC’s I’ve had). 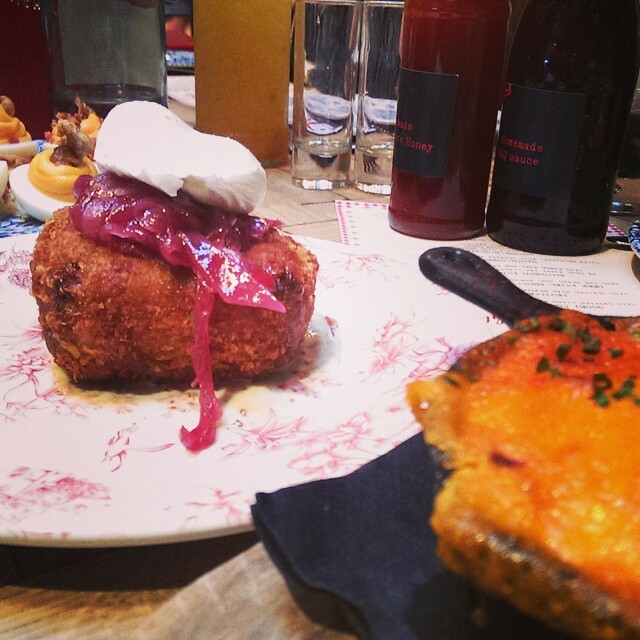 Poached egg, dijonnaise and red onion jam sits on the short rib that will change your opinion of meatloaf, and for many, the question of why on god’s green earth you’d serve waffles with chicken will be answered. 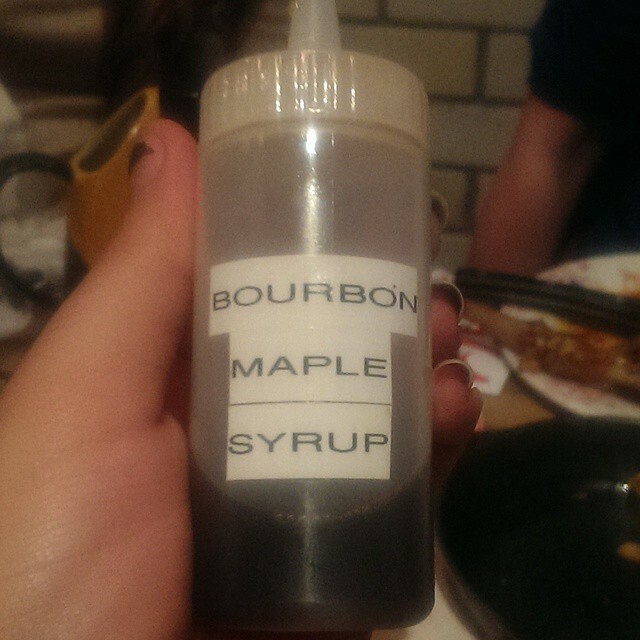 I didn’t quite get the answer, but it didn’t really matter because BOURBON MAPLE SYRUP. Sorry, I just get very excited about it. The list in the restaurant upstairs is the same as downstairs, and are heavily reliant on Jim Beam and Stolichnaya. The Hoodooist couldn’t help but feel the ingredients seemed a bit muddled. One that stood out from the messier drinks was a confident Bullish Negroni: Bulleit Rye, Campari, Antica Formula vermouth. Which was…surprising. Smooth, pleasant, self-assured. The smokiness of the Bulleit Rye is very much present, but the spicy tobacco flavour is tame in comparison to the other ingredients. It’s light sweetness of fruits and orange zest plays a part alongside the Campari – which is immediately followed by the winter spices of the Antica Formula that continue into the length of bitter oranges and cherries. The first sip might seem foreign, but instantly becomes very familiar and welcoming. Two Old Fashioneds next, a Knob Creek, and a Woodford Reserve. The Knob Creek is up for anything, dry, fiery flavours come through – firewood and the sound of a straight razor dragged across a leather-strop. Followed by a nutty spice and oak. On the other hand, the Woodford Reserve is mellowed too far (at least in the Hoodooist’s opinion), removing all the pleasurable rye, ginger or coffee notes, leaving only a wintery sweetness. 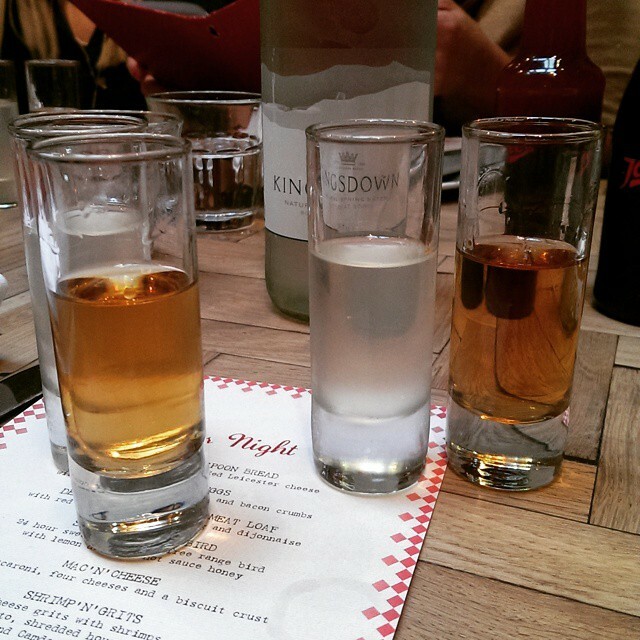 Pause for obligatory Jim Beam White Label Pickleback. A 5GBP Margarita does the job (if you’re being charged more than a max of 6 pounds for a Margarita, someone’s cheating you). A sip of a friend’s Lucky Stag, though (Jim Beam Red Stag, Maraschino, egg white, lemon, sugar) was cringey. Killer desserts roll in – Peanut Butter Pie with Chantilly cream, Pecan Pie with Jim Beam Honey cream, and Iced Honeycomb and Chocolate Parfait Sandwich help you find your dessert stomach as your dessert cocktails arrive. The Espresso Martini: Stoli vodka, Kahlua, sugar syrup and espresso use the spirits I would normally avoid for the cocktail (there are far more impressive coffee spirits out there) – though is still moderately successful. Unfortunately, the Devil’s Frappe doesn’t work particularly well, and went unfinished – coffee infused Jim Beam, chocolate cookie syrup, espresso, double cream and milk – coming off powdery and awkward. This all makes Joe’s Southern Kitchen’s drinks difficult to rate. Comfort food makes the experience a lot of fun, and one pays less attention to the drinks, absolutely – but as a cocktail blog, unfortunately a decision has to be made. I found the menu to be a bit all over the place, and the classics most tempting to order. The Old Fashioneds and Margarita turned out rather well (as long as you know your whisky, and very few can ruin a Margarita). 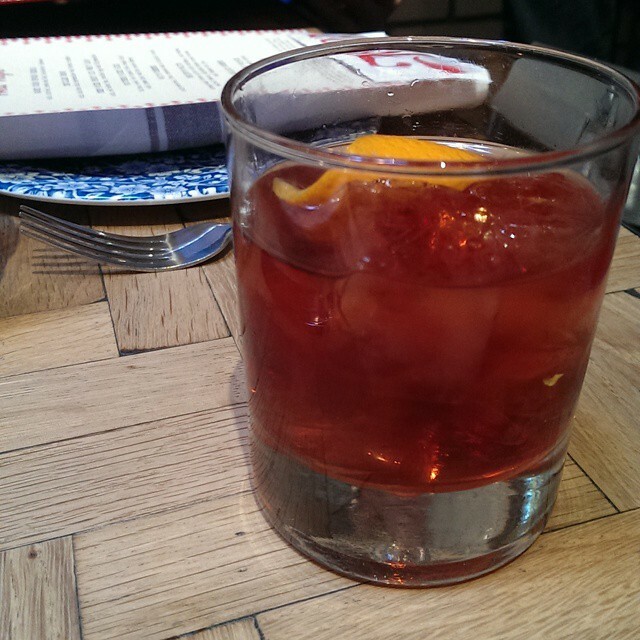 And I wish I saw more drinks in the style of the Bullish Negroni. The other cocktails still leave much to be desired. I’d return to stuff my face with a whisky in my hand, or take on classic cocktails. Which isn’t necessarily undesirable! Service is attentive, explanatory, conversational – and somewhat formal, considering the surroundings – no complaints here! This entry was posted in Bars & Cocktails, Gastronomy and tagged American, Bar/Restaurant, Comfort Food, Food, Hangover, Small Groups.